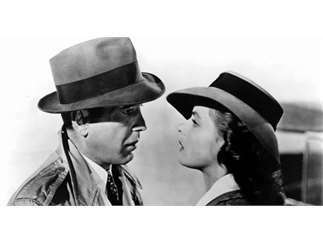 Join us for a special Valentine’s screening of Casablanca at the Idaho State Museum. Bring a date to the Museum and enjoy this classic movie, one free drink followed by a no-host bar, light appetizers and desserts, and special after hours access to the museum galleries and M Store. Attendees will have Museum access beginning at 7 p.m. and the movie will start promptly at 8 p.m.
Access to the Museum galleries from 7 p.m. – 7:45 p.m.
Live piano playing on the Cartee Piano in the Idaho Room until 7:45 p.m.
Purchase tickets online and save. Tickets will be available at the door for an additional $5. 610 N. Julia Davis Dr.